As the famous quote goes, "How do you get to Carnegie Hall? Practice, practice, practice." All serious musicians know how much time you must spend practicing to achieve success. It's essential whether you're a beginner, amateur, or professional. U2 still practices before their tours, as do some of the world's most acclaimed classical musicians. However, be careful – there is such a thing as over-rehearsing. Just like athletes, you can only push yourself so far until you break. While practicing should be a number-one priority in your music career – you've gotta be an excellent musician first before anything else can happen, right? – be aware of the following dangers of overdoing it, as the consequences can range from band arguments to permanently damaged vocal muscles. Playing music is a physical activity, and practicing too much can hurt you. 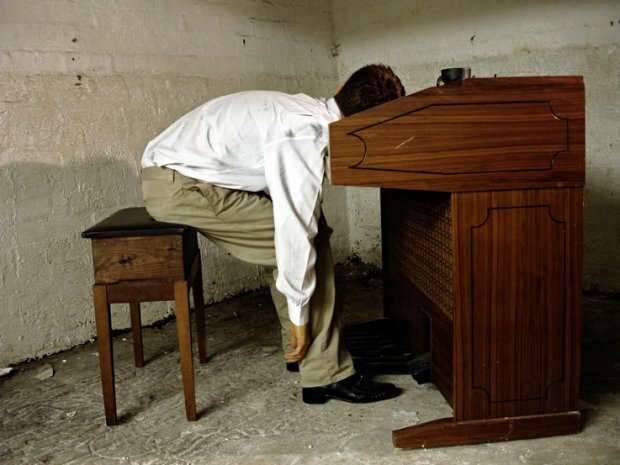 If you're a singer, it's often advised that you don't practice for more than an hour at a time, even with proper technique. While vocal coaches have their own opinions, if you begin to feel strained, hoarse, or vocally fatigued, take a break! Drummers – the technique is in the wrist, so they say, but it doesn't mean that wrist doesn't need a break. Guitarists, especially highly technical ones, should warm up their fingers, wrists, and forearms before a long practice session. Spending too much time in the shed, especially with imperfect techniques, can lead to tense joints, inflamed tendons, and more. And the most important thing to protect – your hearing! If you're practicing at a loud volume, your hearing is going to take a toll. If your ears are ringing or your hearing feels dampened, you need to step away for a while and/or turn it way down. Once you lose it, it's gone for good. While practice should suggest that you achieve more skill and confidence, it's not always that simple. If you spend too much time in your practice space, you can run the risk of second-guessing whether or not you're making the progress you should or actually being productive. Sometimes you need to take a quick break to just clear your mind. Art teachers will tell their students to step back from their work and look at it from across the room. This gives them a fresh perspective on how the painting should look. As with music, if we continue to play the same thing over and over and over, we can begin to feel discouraged, as if we don't know the next direction to go or if we're even getting better. Be gentle on yourself. Sometimes taking a 20-minute break is more productive than rehearsing an extra 20 minutes. Radiohead's Thom Yorke has said that the band won't practice a song more than a certain number of times because they just begin second-guessing themselves too much, and the process becomes ugly and unproductive. Music is about enjoying yourself, after all. As a band, spending too much time in the practice space can cause tension. A well-rehearsed band is a strong band, but if your band is getting to the point where you're arguing over the music a little too intensely, you might want to take a break. It's good to be passionate, and it's good to disagree, but sometimes when a band is hacking at the same song for hours on end, it can feel like a chore, and suddenly the song no longer feels exciting to play. Be careful not to let tension get too high in your practice space; if you find that you're driving yourselves into a wall, take a day off. My music industry professor would always tell our class in regards to the importance of networking, "If you're always in the practice room, no one can know who you are." While this statement is a bit exaggerated, his message was that while practicing is essential, you need to give yourself time off to see concerts, meet with other musicians or journalists, and to network. Maybe you've just finished up your record; instead of immediately practicing for the tour, it might be a good time to configure a proper press plan and spend a few hours reaching out to blogs and journalists instead. Living in the practice space sounds like a musician's dream, but the music industry also has a cocktail party side of it. It's important to make time to get out and connect with people in your scene, and that means taking a break from rehearsal. Once you get to a certain point of hearing the same piece of music over and over, it can begin to all blur together. No matter how dedicated you are, your brain only has a certain amount of concentrated time it can spend on a task without becoming distracted. While it may seem that the longer you practice, the better focus you have, the contrary may be true. Just as your ears, voice, and hands need a rest from intense rehearsals, so does your mind. Forcing yourself to continue practicing when your mind is starting to feel fuzzy isn't going to produce the results you want. Taking the rest of the day off to do something relaxing – like going for a walk or making a good, home-cooked meal – can really make a huge difference in clearing your mind. This is a serious danger of over-rehearsing. Every musician has been there – you're putting in overtime, but the results aren't what you'd hoped for. It feels defeating, and you feel burned out. This is where second-guessing yourself becomes a reality, and you decide music is not for you. Don't get caught up in something you can't ultimately control right away. Growth takes time, and while practice expedites talent, it can't always deliver overnight. A beginner can't practice his or her way to a professional level just by never leaving the practice space. It takes experience, collaborations, teachers, and so much more. Don't let over-rehearsing burn you out. Music is your passion, and if you're finding that you’re too exhausted to keep playing music, you might need to set stricter time limits on your rehearsal. It doesn't mean you're a less dedicated musician or you're less likely to progress, it means you understand your own limitations and know how to champion what works best for you.